The Zorb Zone is the premier site for the hire of waterzorbs, water-rollers, bodyzorbs, landzorbs, and waterpeddlerz throughout the UK and the Isle of Man! The Zorb Zone also now has hoverboards available for hoverboard roller discos and our tricky hoverboard challenge parties. We can organise Aeroball tournaments and run fantastic foam parties with slides or pits for kids and adults! Walk on water with our waterzorbs! With water zorbs you can run, roll, flip and spin on water without even getting wet! Hire our fantastic inflatable balls for water walking fun at corporate events, game fairs agricultural shows, weddings, Christmas parties and private parties or for weekly fun sessions at your school, swimming pool or leisure centre. With our inflatable pools you can have fun walking on water with waterzorbs at almost any event anywhere. Enhance your event and draw crowds by booking waterzorbs from The Zorb Zone now! Even remote fields can be used to set up our waterzorbs - provided that there is a source of water available. BodyzorbsFun for all ages - Indoors or outdoors, winter or summer. 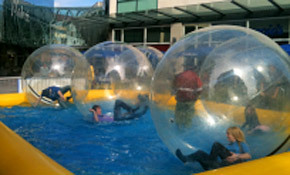 If water is a problem why not hire our brilliant bodyzorbs? They provide extreme sport fun in the safe environment of an inflatable ball. Bounce, battle, tumble, roll and fall. 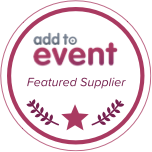 It's energetic, physical and fun perfect for corporate events, private parties and school sports and fun days. For our youngest customers we recommend the fantastic waterpeddlerz, they're simple to operate and provide fabulous water fun for young users up to the age of about eleven years.